One might call Indianapolis, Indiana, where I’m from, Marching Band Mecca. 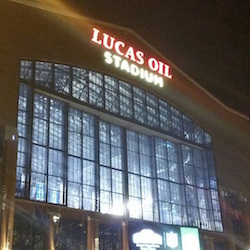 Lucas Oil Stadium is not only home to the Indianapolis Colts NFL team, it is also the home of the Bands of America Grand National Championships sponsored by Music for All. Held every year during the middle of November, the Grand Nationals brings nearly 100 high school marching bands from all over the country for three days of intense competition. It culminates late on a Saturday night with the crowning of the overall Champion. 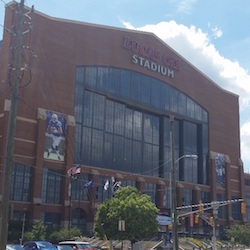 This event alone would be enough to lay claim to a nickname such as Marching Band Mecca, but many of the top bands that compete come from right here in Indiana and several Central Indiana bands have been named Champion in recent years. T-shirt companies, color guard accessories, drum and bugle corps, uniform companies, tour companies, and yes, ChopSaver! So if you are in the area and you want to see some of greatest bands in the land compete head to head, check out the schedule here. And if you miss this year, plan on it next year! 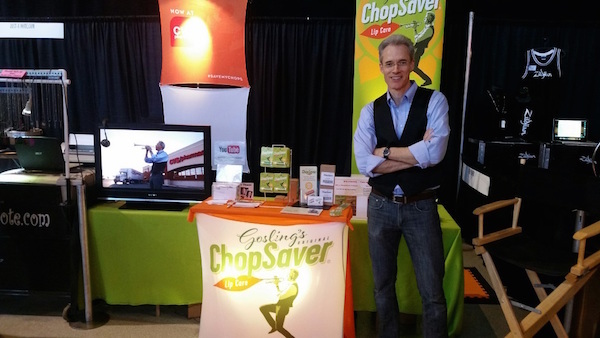 Dan Gosling aka The ChopSaver Guy is a professional trumpet player, entrepreneur and the creator of Gosling’s Original ChopSaver Lip Care. Follow him on Twitter @chopsaverguy.